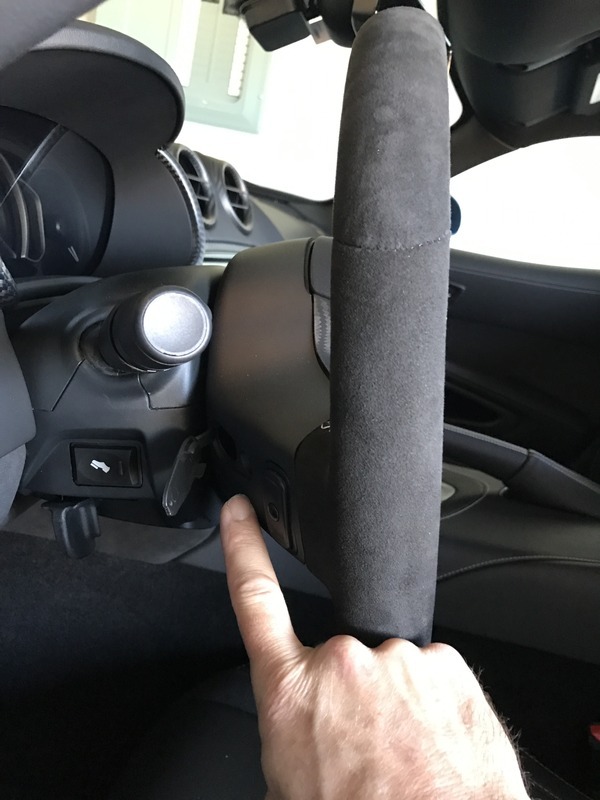 I have a 16 TA and want to change out the steering wheel to the ACR's alcantara wheel, has anyone removed one? Would that ACR wheel work (electronically) with my TA? If so, where other then the stealership could I purchase one? Jon B got me that same wheel. they are not cheap but you should ask him for pricing. I changed to this same wheel in my 15 GTC 1of1 car. All electronics work fine as they are original to the car, no issues at all. 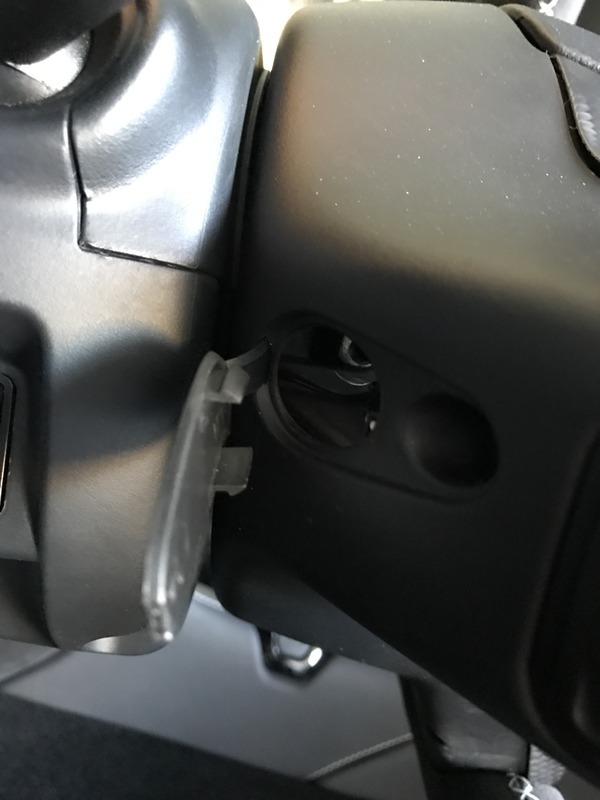 You have to obviously need to disconnect the air bag so you need to disconnect the battery first. Then there are two access panels on the back of the steering wheel. 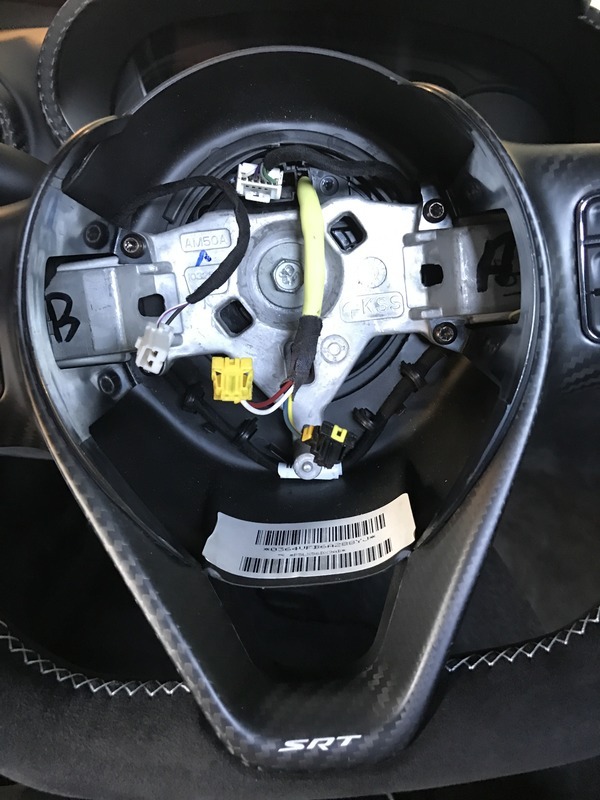 There are two 10mm or 8mm bolts that you remove and the air bag comes out. 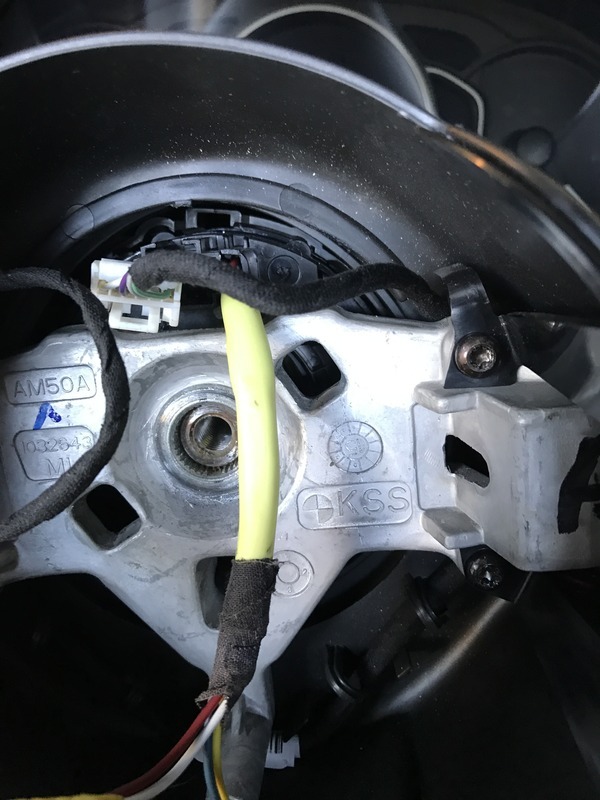 Disconnect the wires then use a two arm puller to remove the wheel after removing the center bolt. 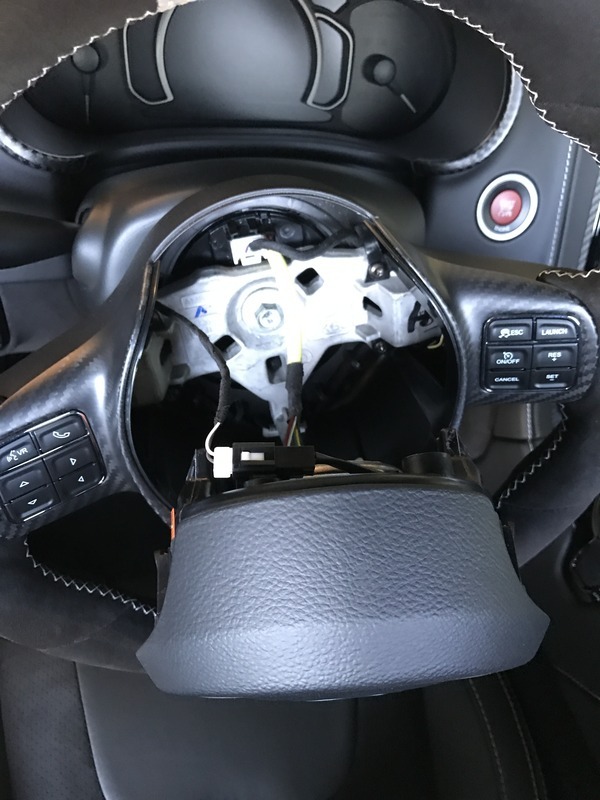 You will then have to remove and replace the electronics and the trim pieces as they are reused. The wheel is just that a wheel only. 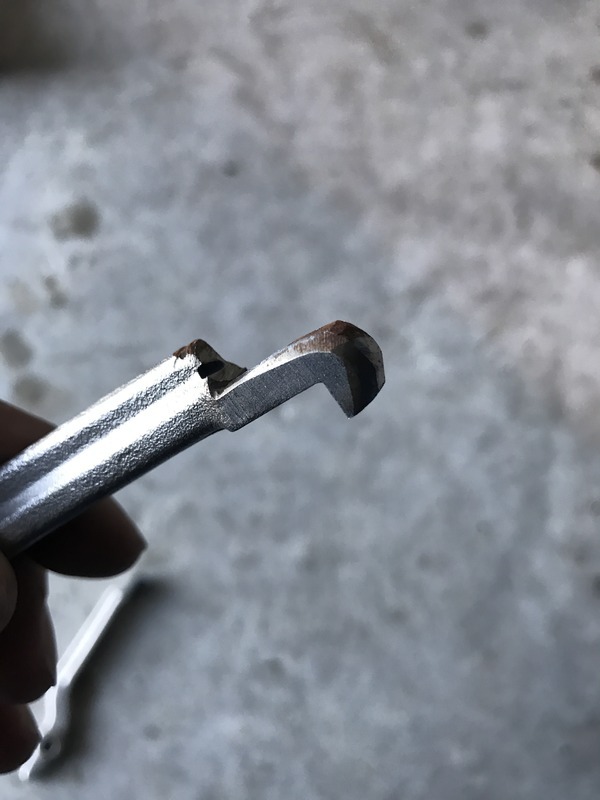 Super easy if you have the right puller. I know that's not the best write up but I hadn't planned on documenting the install. ACR will drop right in. If you need step by step instruction let me know. Is it possible to just get the CF bezel as a stand alone part and swap on my existing wheel? I'd rather do that if possible. Sorry for jacking the thread but it feels related. 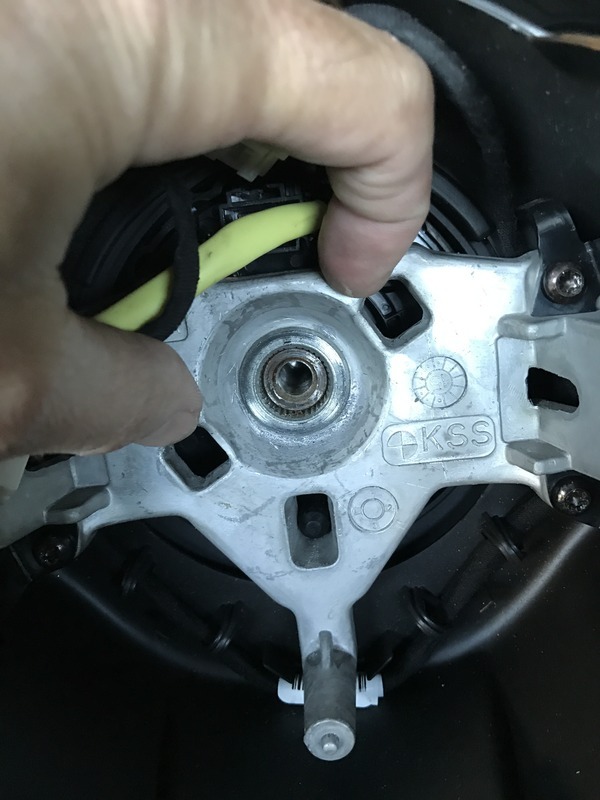 I've changed out wheels on my c6Z and my Cadillac ATS-V and both Gm's had a small hole on each side of the wheel housing in the back... and you just put a long skinny driver in and push the spring and the air bag / horn assembly pops right out.... So on this.. there's an access panel then bolts to remove? or the bolts remove the panel? On both my vette and Caddy I did not need a puller, yours must have been tight as hell. I'm sure you can because that entire bezel pops out of the wheel itself. That should suffice. Not sure if the shroud and bottom plate remove is required. I am not in town to check on my car. I would not remove any pieces of the interior without consulting someone who has access to install/removal instructions. If you break or crack something, its gonna cost you. I just removed my door panel and window to fix an issue and everything went smooth because I knew exactly what to do. Good luck with the install. Please update with some photos. Looks easy, thanks for the link.. The only thing that worries me is that clock spring. Clock spring on the 13 and up is easy, the earlier Gens were more difficult even though not difficult. It's a simple swap. 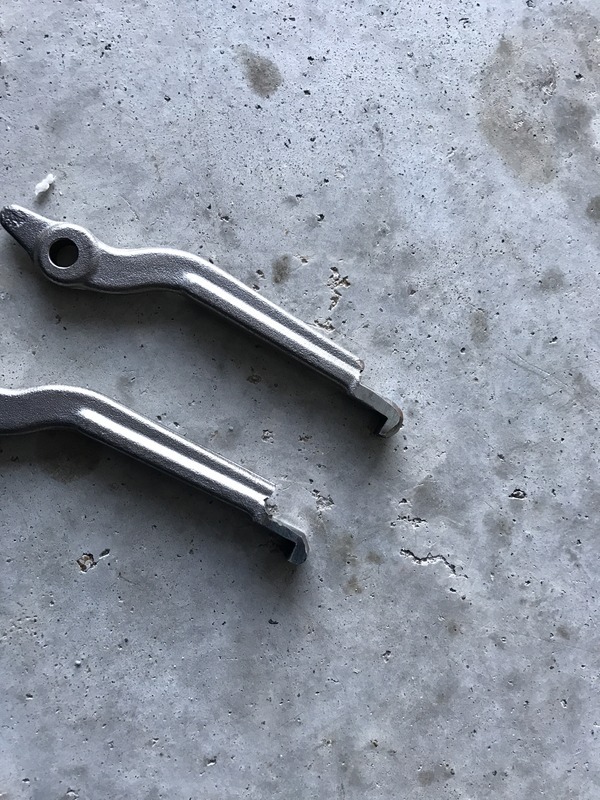 Need for a Puller or No? Definitely need a puller and a pretty specific one. It goes through two holes on the wheel, a traditional three arm will not work. I'll try and take some photos. I actually modified a puller I had to make it work. Disconnect the Battery!!! I remove both negative, then positive when messing with airbags. I also let the car sit 5 minutes after disconnecting just in case. 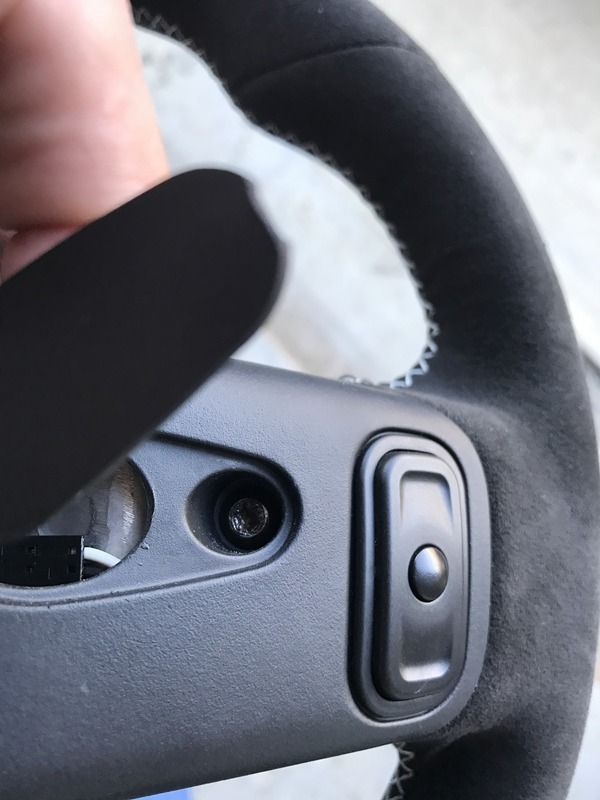 Second, open up the access points on the back of the steering wheel. 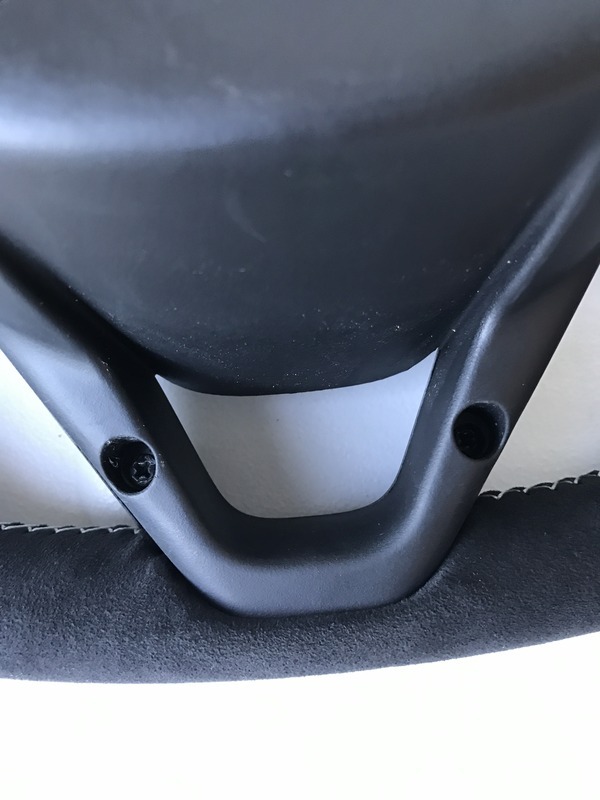 Remove the 10mm bolts that hold in the airbag. 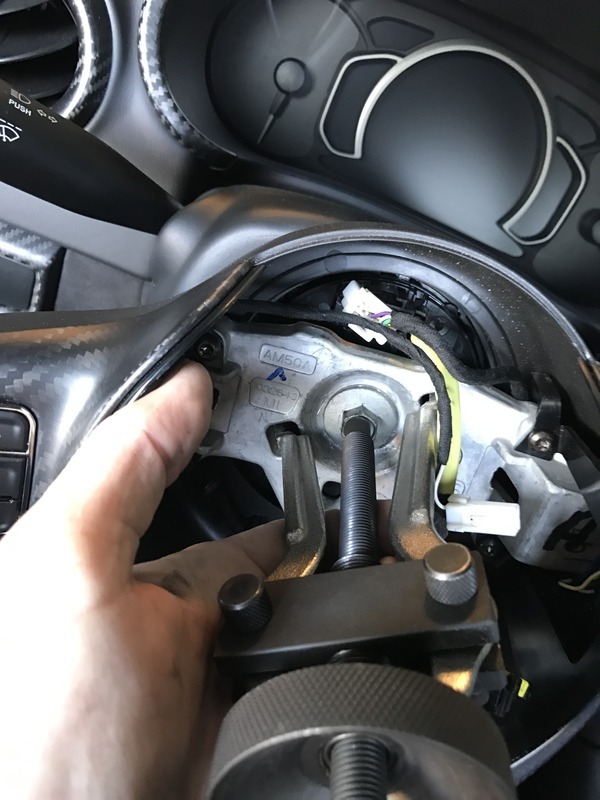 Disconnect the air bag, horn and communications plug from clock spring. 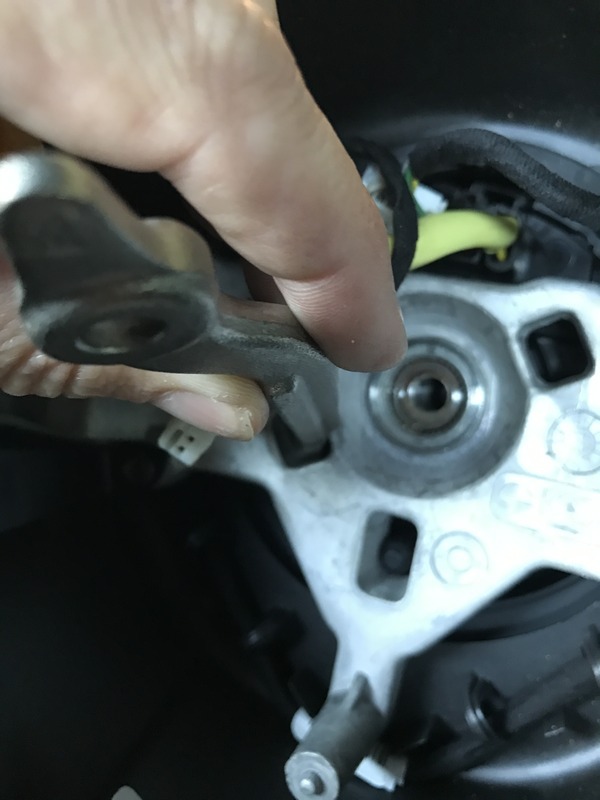 Loosen the 13mm bolt in the center of the steering wheel. Use the puller to remove the wheel, then take puller off and remove the 13mm bolt the rest of the way. Change the trim over from your factory wheel to the new wheel. Very Cool, Thanks for the pics. Where did you get the puller from? I checked on pricing, holy S**T they want $1300 for the wheel only. ok good. $1300 is ridiculous. looks like you modified that puller.. maybe when Im ready you can let me borough it i can pay for shipping both ways and deposit. I didnt know you had a TA! The ACR wheel is going to throw off your black/orange colour scheme (orange stitching) with your choice of either white or red center band complimented with white and red stitching. I have a black TA too and that's one reason why I didn't want to go with the ACR wheel. This is the reason I just want to change the bezel. Then my TA interior will look similar to the Anodized Carbon interior. Those ACR alcantara steering wheels are super nice though. If they made one with Orange stitching they would sell a few I'd think. I am sure a local talented upholstery shop can do an awesome custom alcantara wheel with orange stitching and orange band if desired. Not sure what wheel your referring to. There is no black stitched black stripe wheel offered. no black stripe.. just stitching... but.. I called John and he has a guy in Michigan that does these wheels any way you like.